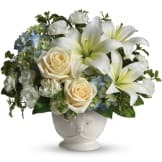 A beautiful, bountiful basket of luminous white roses that feels fresh and natural, the Bountiful Rose Basket is a lovely way to share your love and sympathy. 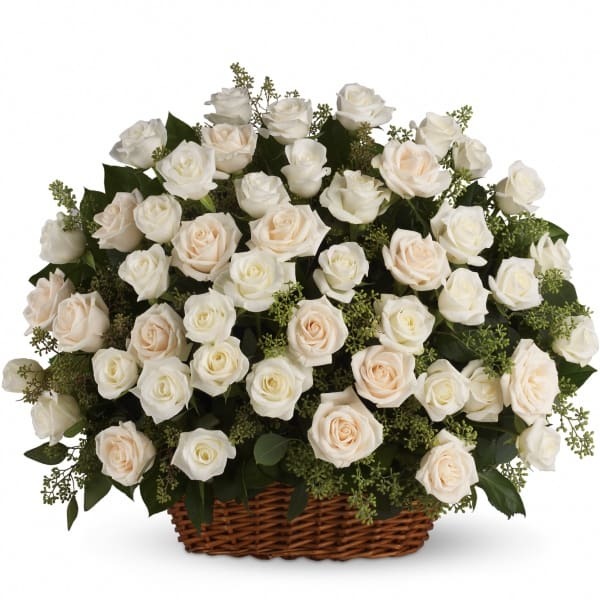 • White and crème roses with fragrant seeded eucalyptus beautifully presented in a large basket. 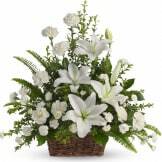 • This arrangement measures approximately 25" W X 20 1/2" H.
Flowers will be received by a Futher-Franklin Funeral Home's staff. 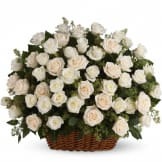 The roses were beautiful, the family was very pleased and we received so many compliments! 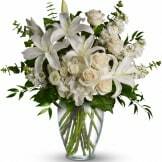 All of our flowers are designed and delivered by hand from a local florist in in Wellesley.